Our memorial service yesterday. What a poignant day. 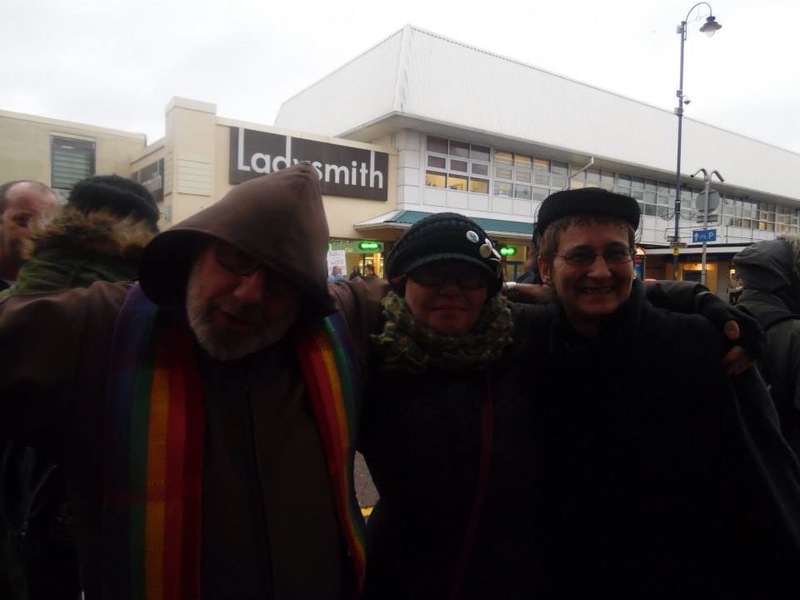 It was a wet, windy and cold day. The weather couldn’t have been possibly worse. I was panicking a bit that people wouldn’t come to the memorial service because of this. I was wrong. We arrived and started to organise ourselves. Within minutes people started to arrive. More and more people started to arrive. 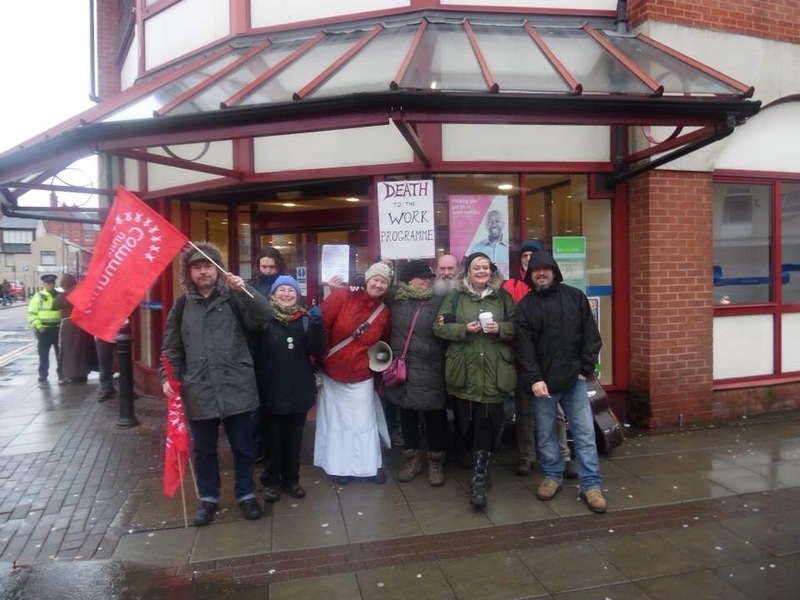 Lots of hugs and hellos were exchanged so much for the Job Centre accusing us of being aggressive. 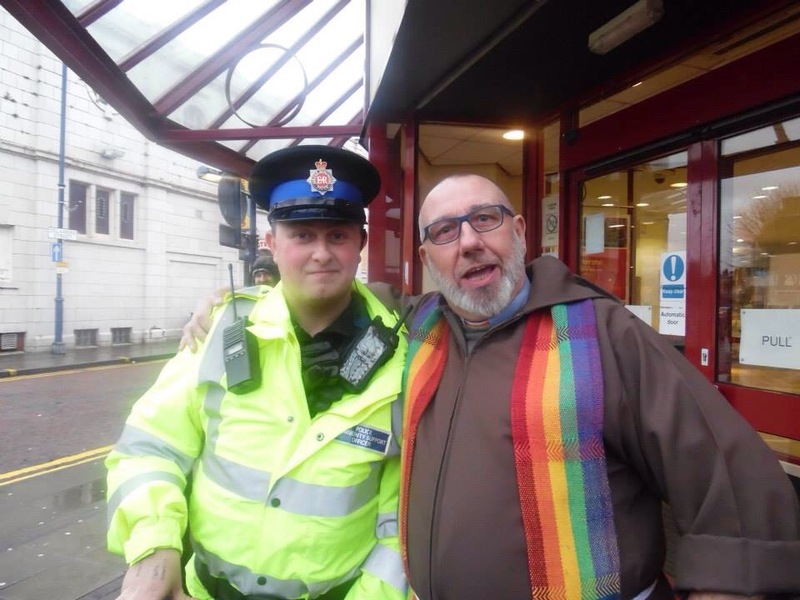 The Rev David Grey arrived. 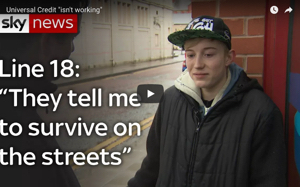 He said hello and decided to go into the Job Centre to introduce himself and to offer any workers counselling if needed. They responded very curtly.. No we aren’t interested we have our own.. After spending a few moments inside he returned to us saying that they were quite aggressive in their tone to him. 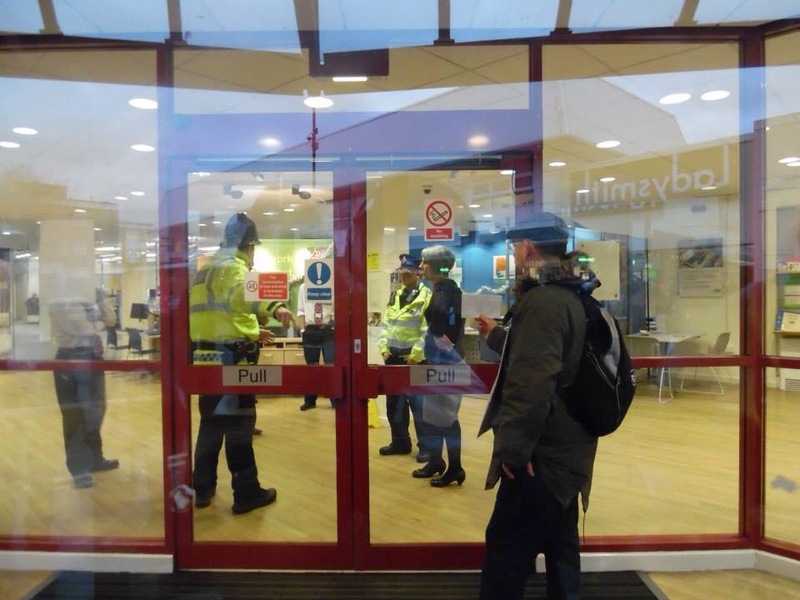 A few minutes later the police arrived, the Job Centre accused him of making them feel intimidated …. Nothing could be further than the truth… He showed nothing but compassion towards them…This just shows how indoctrinated they are. 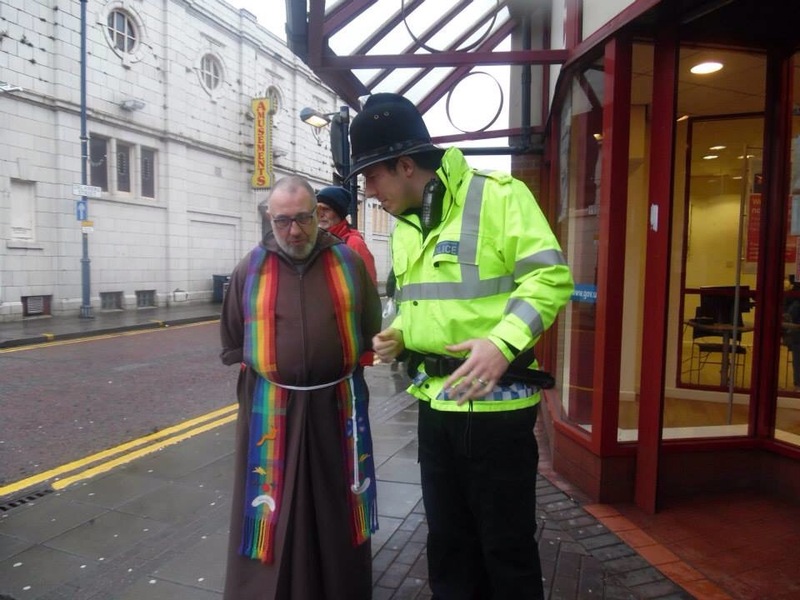 We performed a little ceremony led by the Rev David Grey which was very very moving. He’s a very wise man. My daughter was asked to lay the wreath.. As she was about to do so she stopped in her tracks. She was scared she said that the woman that had previously sanctioned her whilst pregnant was staring at her and she was scared. 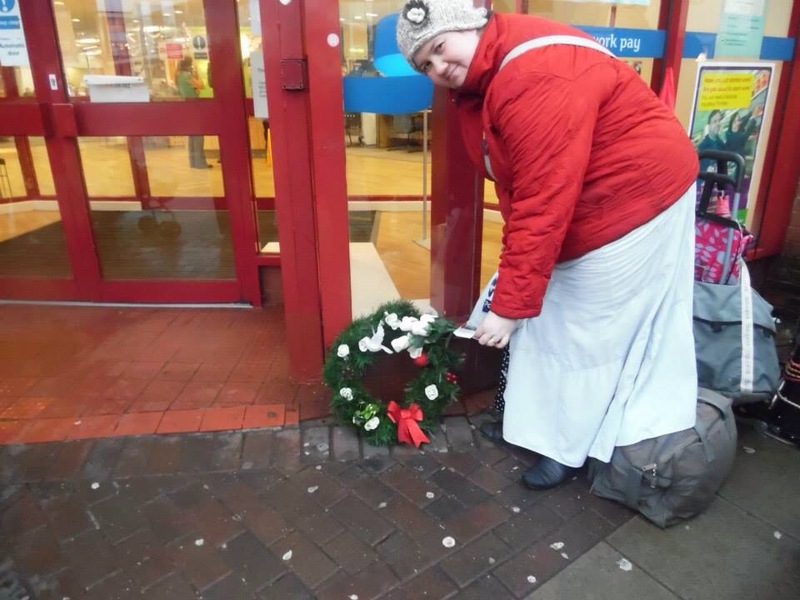 We all rallied round and gave her the confidence to lay the wreath. We applauded her for this because it took a great deal of bravery on her part. Eliza then went on to read the list of the dead that is published by the Black Triangle Campaign. It took over half a hour to read… We were all close to tears. All questioning why is this being allowed to happen? Why aren’t those who are committing these crimes held responsible for them? 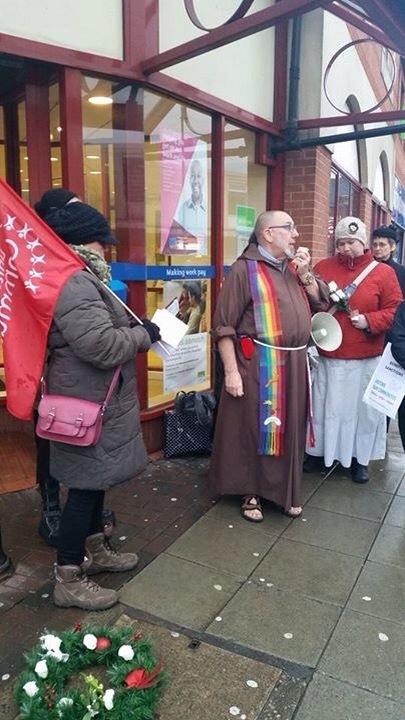 Unison then handed in an official letter to the Job Centre… They refused to let him in at first and then tried to get a G4s security guard to take the letter… Which was of course refused…. He managed to hand it to a Job Centre member of staff. 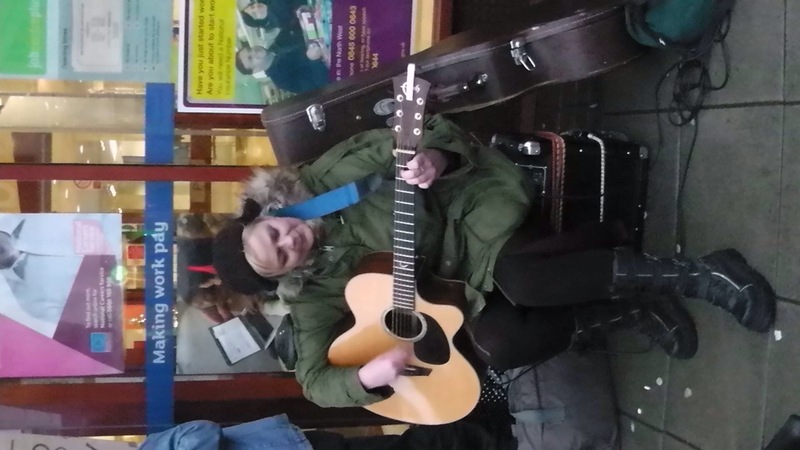 We then sang some songs and said a few more words. We caused no trouble, we came in peace. 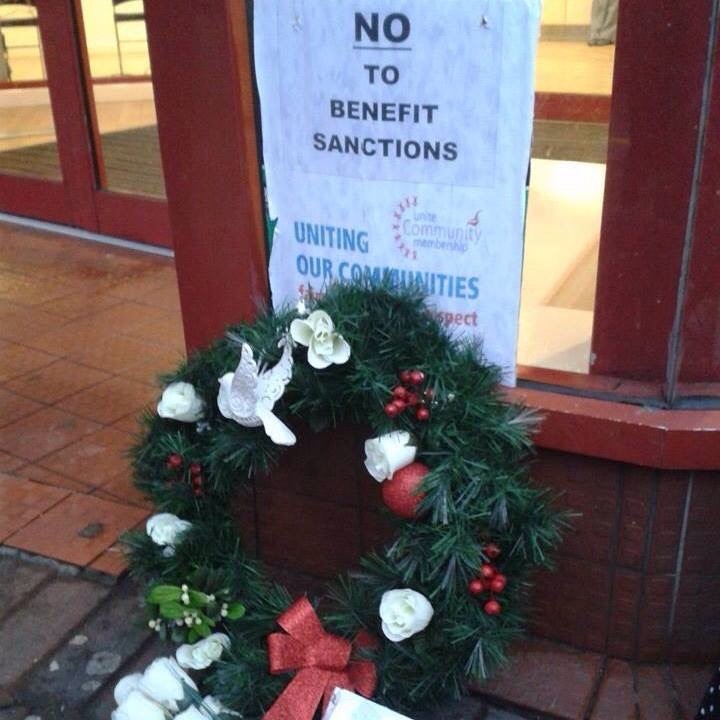 In solidarity of those lost due to the benefit reforms. Our wreath has been removed.. Most likely thrown in the bin by the Job Centre.. 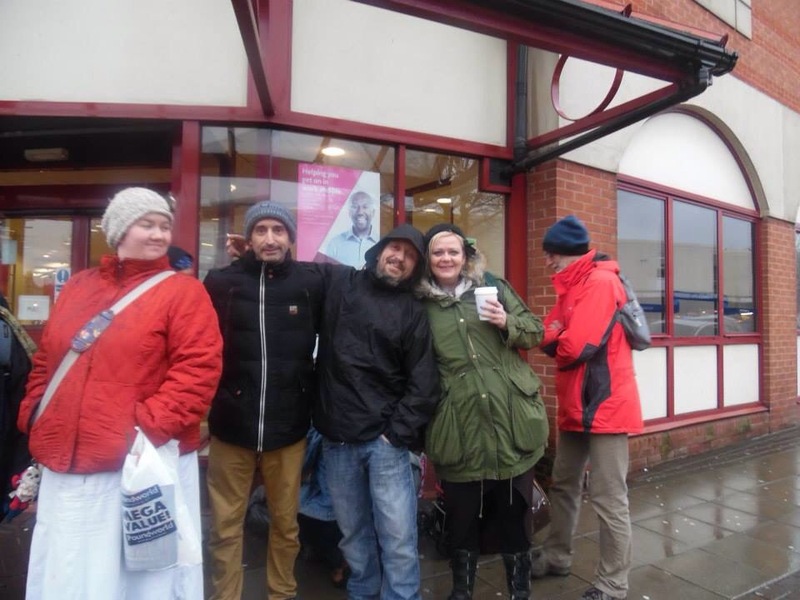 But we will never forget this day…… The day that humankind brought kindness and compassion to Ashton Under Lyne Job Centre. 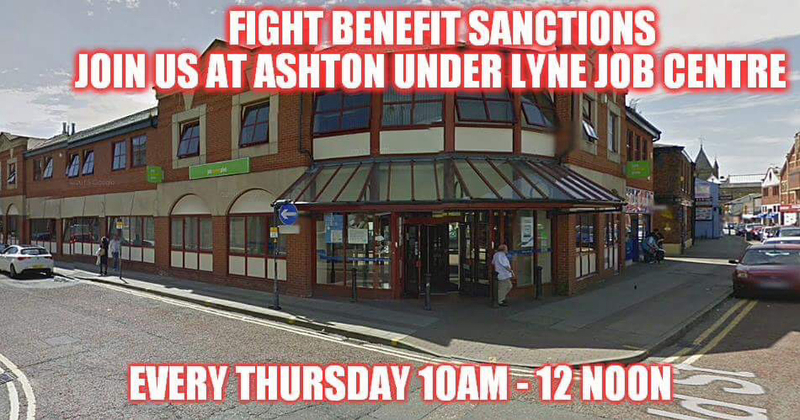 Pregnant and sanctioned just in time for christmas… Sanctioned and frozen to death….The latest news from Ashton Under Lyne Jobcentre. This is why we protest. Intimidated? I have done quite a lot of work in the black community over the years and have as a result learned and regularly pointed out that there is a big difference between whether someone feels intimidated and whether the person they feel intimidated by is actually BEING Intimidating. Two very different things and actually about the beliefs / conscience etc of the person who has those feelings. By the way, many thanks for braving the elements for this cause. The way the system is going these days is a disgrace. Thank you for doing this. I am retired and ill or I would be there every week. I am behind you all the way. WordPress, facebook, twitter really. Short videos on Instagram also. Thats what I use but it takes time to build up a following.